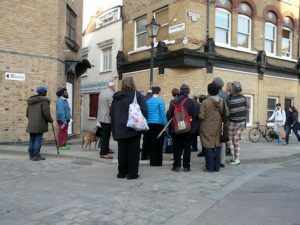 Here are some photos from our walk with the Somers Town History Club. 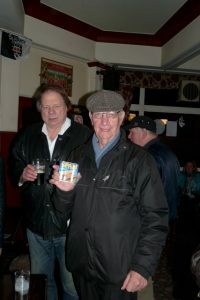 The walk took place at the beginning of April and was led by George Sharp, a local resident who shared his fantastic memories of all of the shops that used to stand on Chalton Street during his youth in the 1940s, 1950s and 1960s. 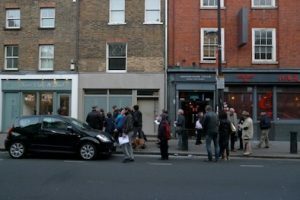 We were pleased and grateful that over twenty-five people came on the walk to listen to George’s stories. Thanks! We all ended up in the pub. I think some are still there. Churchway, where a row of shops stood late into the 20th Century. 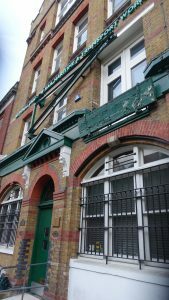 The old leather factory in Somers Town; now the Rail, Maritime and Transport Trade Union. 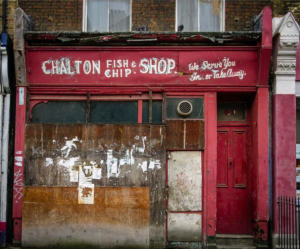 The old fish and chips shop in Chalton Street, near Churchway. 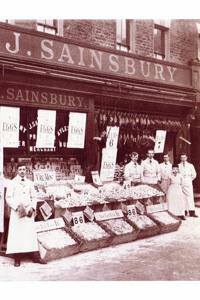 Sainsbury’s at the corner of Churchway and Chalton Street. On Chalton Street with locals.